This cookbook is chock full of over 400 recipes, most of which have a picture (a must for me) and housed in a 5 ring binder. With everything from appetizers to entrees, sides to desserts, there is something for anyone, no matter how picky your palate. Because I wanted to work with what I had on hand, I narrowed my choices down to a few and let my boys decide which recipe they’d like to tackle with me. 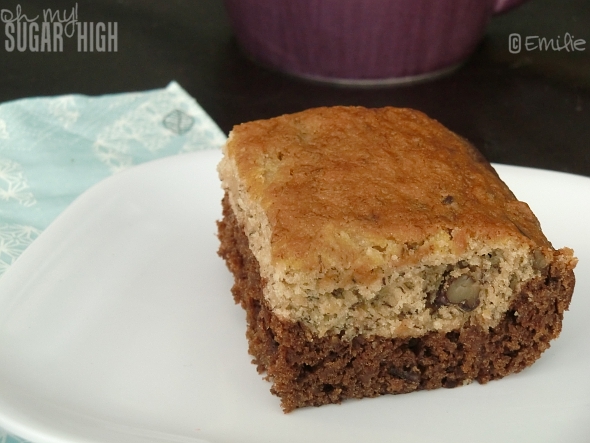 It was unanimous to try out the Cocoa Bottom Banana Pecan Bars. And oh mama, they did not disappoint! These bars are absolutely amazing. 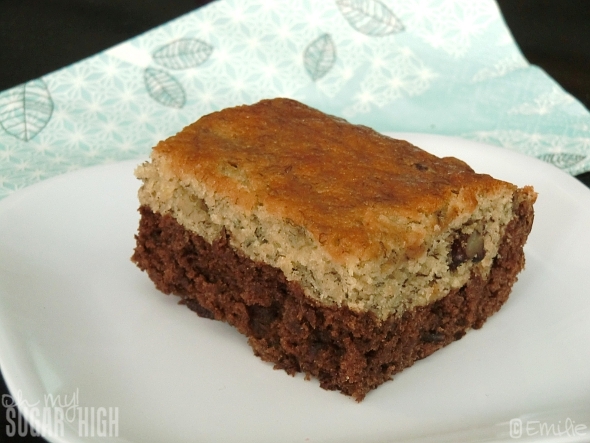 They are a cross between a soft banana bread and a cake-like brownie that are not only super easy, but the flavors will impress anyone. This is a fabulous way to treat your guests with something unique that takes minimal effort. Preheat your oven to 350 degrees and grease a 13×9 inch baking dish. 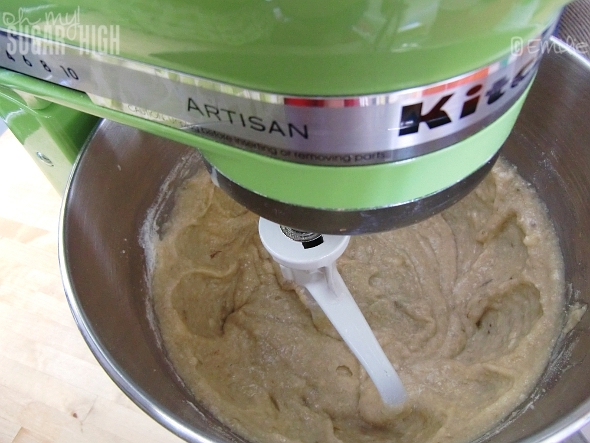 Beat the sugar and softened butter at medium speed until well blended and creamy. Add in your mashed bananas, egg and vanilla. Mix together until well blended. In a medium bowl combine the flour, baking powder and baking soda and salt and add to banana mixture. Beat until well blended before stirring in your pecans. 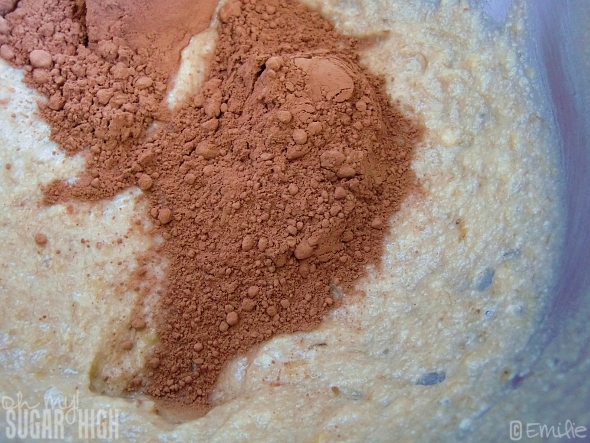 Divide the batter in half and add cocoa to one half. 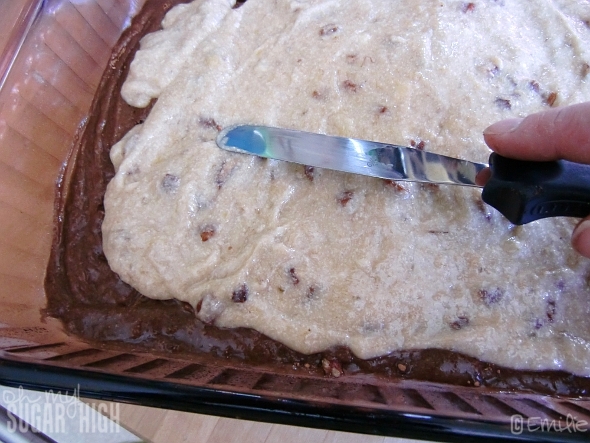 Add the chocolate layer to the bottom of your baking dish. Spread plain batter over the top carefully. Swirl with knife to get the marbled effect (if desired) or leave as is to get the layered look I achieved. 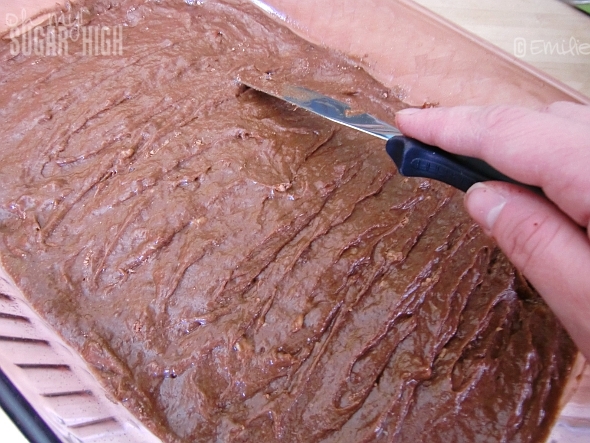 Bake for 30 to 35 minutes or until edges are lightly browned and toothpick inserted in center comes out clean. Note: Your entire house will smell like an intoxicating blend of banana and chocolate as this bakes. Cool completely on wire rack in pan before cutting. Tip: You will want to cut these once they have cooled to get the cleanest cut possible. After you cover them the tops will become softer, much like a muffin. If this happens you can also let them sit uncovered again for another hour or two and they will firm up and will no longer be sticky. You can bet this recipe will be going into the “my recipes” section of my cookbook. The KitchenAid Recipe Collection has a retail price of $29.99 but is currently available at a discount on Amazon with free super saver shipping. This would be a great gift for anyone, regardless of whether they own a KitchenAid mixer, or the perfect addition to your own collection! These look divine! Definitely next on my list to make. It’s like, everything I love put into a little yummy bar. I’m so excited to make these! Thanks for sharing! These were gone in two days in my house! They are so AWESOME. You’ll love them. Wow, these look really yummy! 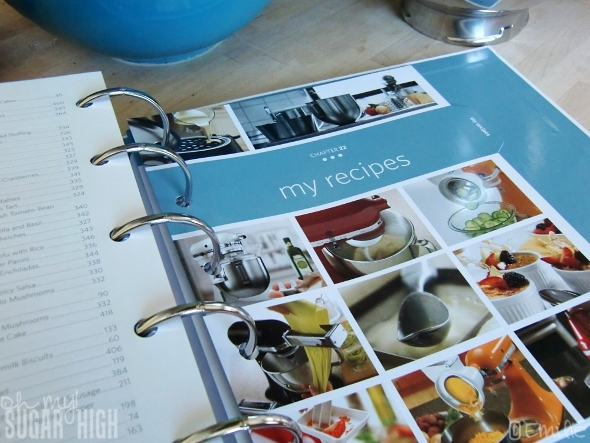 And call me crazy… but I did not know KitchenAid had a cookbook! Thanks for sharing! 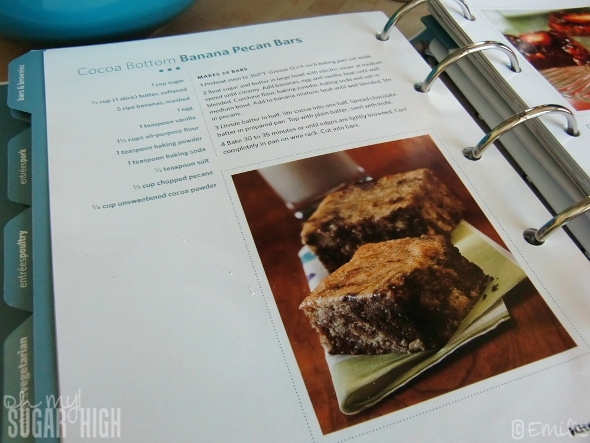 Oh I love banana and chocolate, so these would be awesome!! Thanks for the recipe!